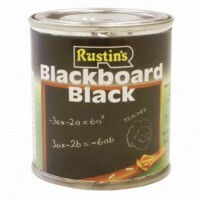 Quick-drying blackboard black paint provides a matt black non-reflective surface for blackboards and photographic work. Suitable for interior and exterior use. Clean brushes in water. 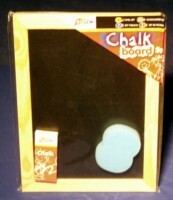 This is ideal for making a blackboard for a Victorian day, all you need is a bit of plywood or thick card. 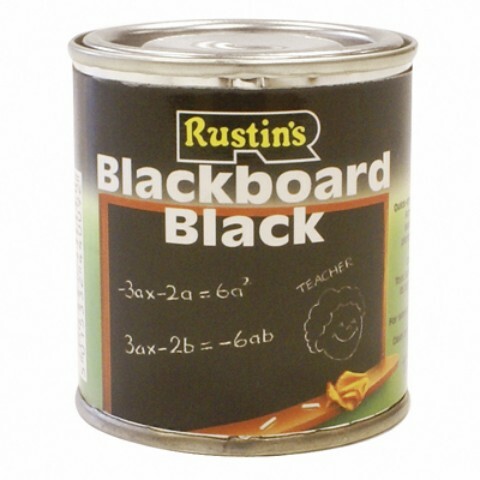 500ml tin, covers about 6sq. m..